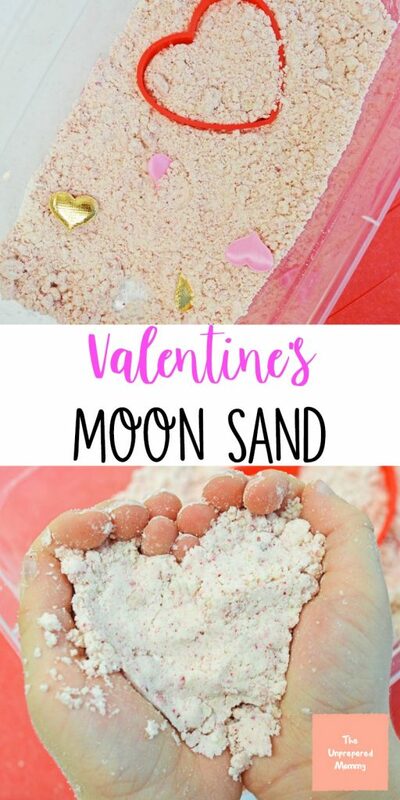 My pumpkin moon sand was such a hit that I thought I would make a Valentines moon sand. 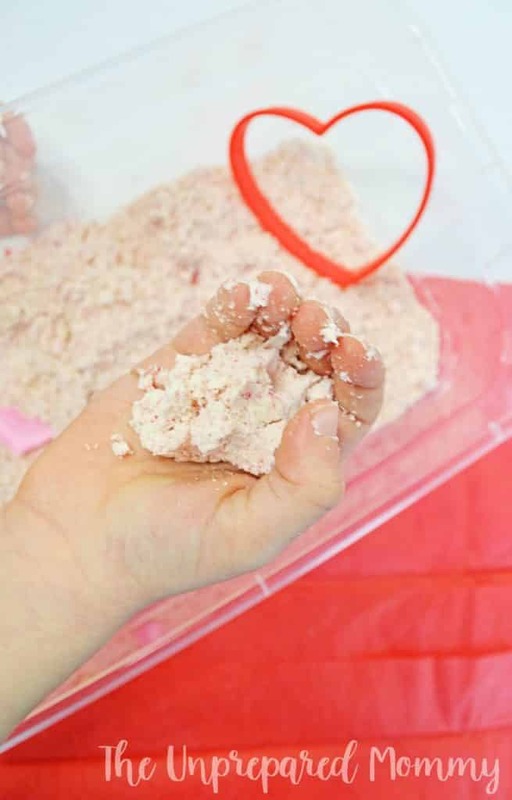 It is so great for sensory play and you could even add essential oils to scent it if you wanted to. 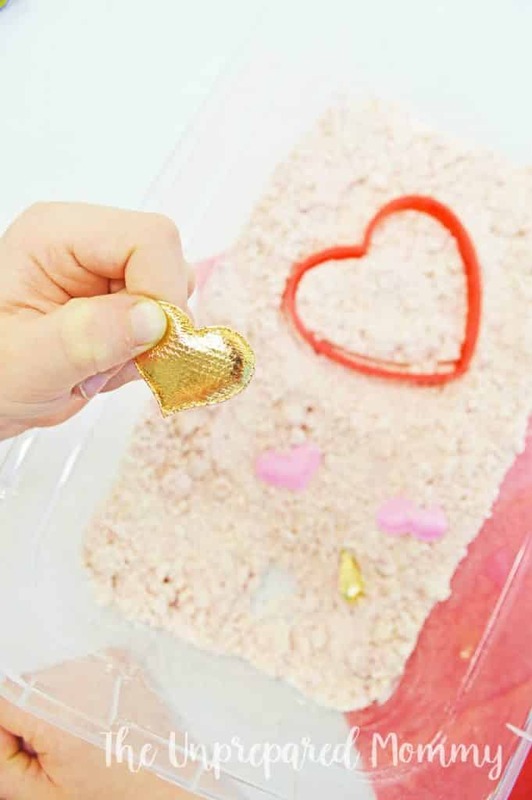 My son had so much fun just squishing the Valentines moon sand around and I wasn’t worried about him putting it in his mouth because all of the ingredients are edible. 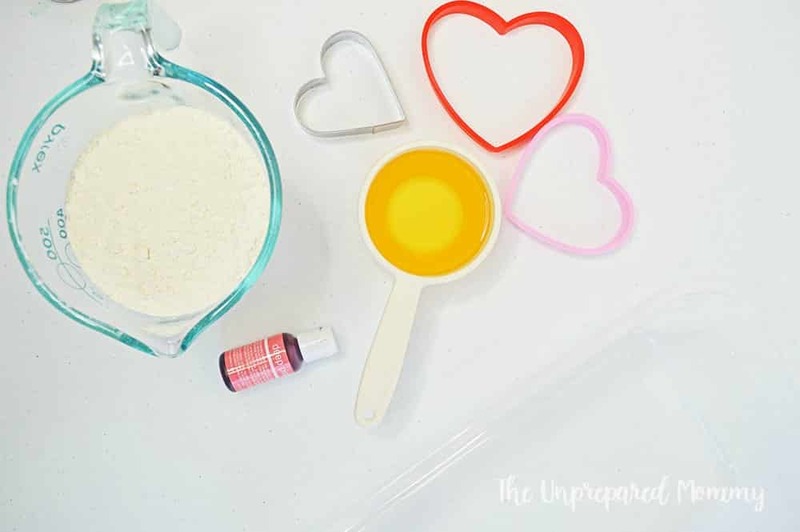 This is such an easy moon sand recipe because it only contains 3 ingredients and you most likely have at least 2 of them already! Kids of any age can learn how to make moon sand and play with it for hours. They can make moon sand castles or any shape they want. 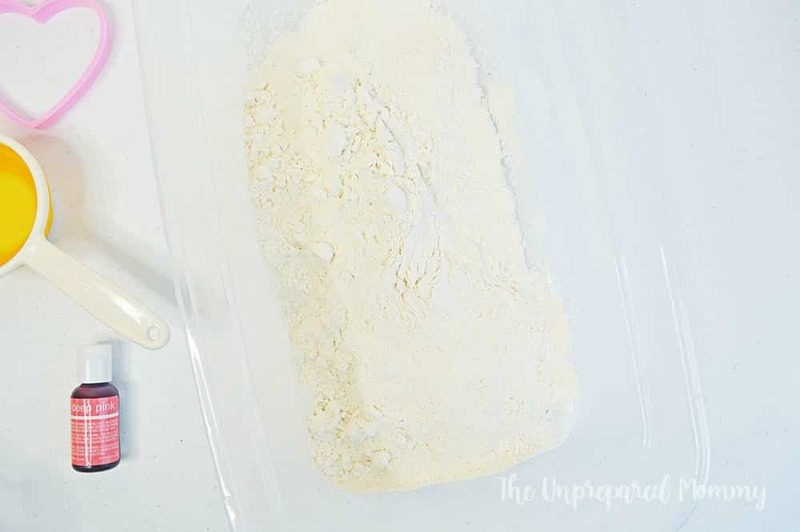 Mix all ingredients in a medium sized bin (such as a Sterilite container). Stir and then keep hand mixing the sand until it is mixed well. Add a few fun tools for playing, and let your little ones enjoy.